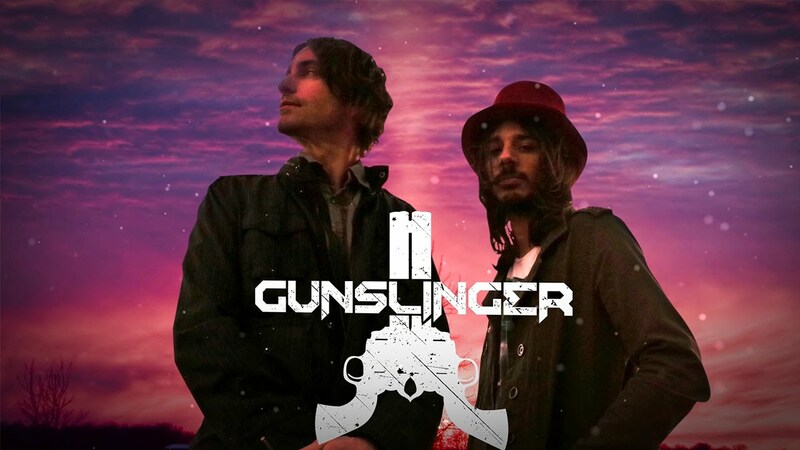 Gunslinger is a genre-jumping group of musicians/producers and DJs. Forged by the musings of Anthem and mad tinkering of Vidal, Anthem (from Southern California) and Vidal (from Lisbon Portugal) originally met online and worked together sending music files back and forth for a year until an O-1 artist visa was secured. As DJs they have opened for some of the biggest names in dance including Tiesto, Pendulum and Shpongle. As a live rocktronica band they have toured the U.S., Mexico, Australia and Brazil with Infected Mushroom. In 2010 they teamed up with Last Gang Records for the release for their debut CD, “Early Volumes 1,” an epic song oriented journey through the worlds of electro, trance, and rock. Their electro house EP “The Ripper” went to #2 on the Beatport charts while their remix of “Blues Traveler’s” Runaround was so well liked by the band that it was put on their 25th anniversary Universal release. With a new full-length rocktronica album released in April, new DJ music and an official remix of the The Doors – Waiting For The Sun, the group plans to have a very busy upcoming year. Whether it’s a live show of guitar, synths and drums or a slamming DJ set, Gunslinger aims to please.